So, I’m writing the second draft of this prose thing, and my editor plugged in his edits directly onto the the word processor document, but on a separate layer–almost like one would in photoshop. It’s a little hard to explain. 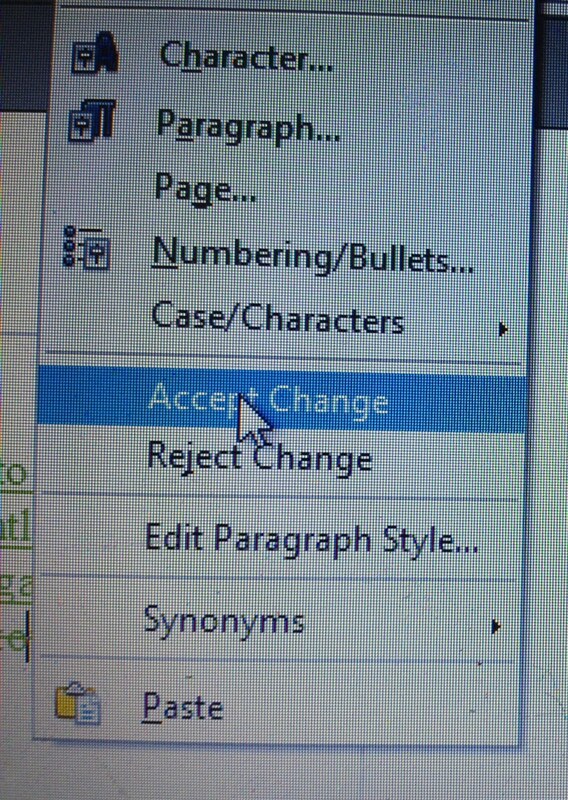 Basically, I have the option of right clicking on any of his amendments (which show up underlined and color coded) and clicking “accept change” to allow his phrasing to override mine, or I can click “reject change” and argue my point and draw this thing out into another draft, and another conversation, and another deadline. Sometimes my words are worth fighting for. Most times they are not. My editor is a man who I deeply respect–both as an artist and as a person–and he doesn’t bother to but in with stuff unless it’ll drastically improve the work. He knows what he’s doing, and I trust him. That’s why I took this job in the first place. So, here I am–sitting, alone, on the roof of my new apartment building, in a city that still feels alien to me, working in a medium in which I’ve never been published before, hitting “accept change” over, and over, and over again. Alright, God. I get it. This entry was posted in Uncategorized and tagged Narcissist's Log, Narcissist's Log #5 by ericmesquivel. Bookmark the permalink.